2) What carriers can we choose from for shipping? – Depending on where they are being shipped to and the service you would like we offer USPS United States Postal Service – UPS United Parcel Service – FED EX Federal Express. 3) Will you deliver to PO Boxes? – Yes, no problem at all. 4) What if you are not shipping to my location or country, can you help? – It depends where you are located, but in most cases we can help out! Just email us the complete delivery address at information@babyskates.com or call us at 330-491-1976 and let us know how we can help! 5) What do customers think about the BABY SKATES delivery process? 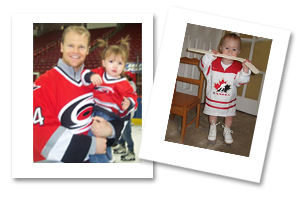 – From around the world our customers seem to be very impressed and pleased with the delivery of their BABY SKATES! Arrives in a timely manner and packaged very well. 6)What is the timeline for processing an order? – Most orders go out within (24 to 48) hours. With (E-Check) orders we need to wait until your check would clear, usually (5 – 7) business days. With Custom Engraving usually items are shipped within (3 to 5) business days. We also have an add-on feature called Expedited Engraving and your engraved BABY SKATES will ship within (24 to 48) hours. 7) What if I need my order shipped to another address? – Always here to help – no problem at all! 8) What if I would like my BABY SKATES wrapped up as a gift for the ultimate surprise and shipped to another address? – No problem at all! We can help you pull off the best gift ever! 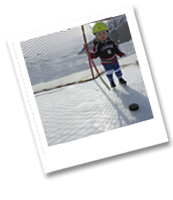 Check out our Gift Certificates and Services page (link included) http://www.babyskates.com/gift-services.php. Wrap - send - surprise! 9) What if my Pay Pal address is different from my residence or business address? – No problem at all! Just email us at information@babyskates.com or call us at 330-491- 1976 and let us know where we need to ship your package to! 10) How can I ensure a good delivery? – Double check your complete address. For International orders include a good contact phone number, incase a problem would arise before returning the package to us they would call first if something would ever come up. 11) Can I order BABY SKATES to be delivered to Military addresses? – Yes we can handle that! No problem at all! 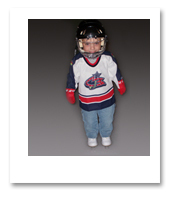 12) If I need my BABY SKATES delivered next day in the United States or Canada can that be done? – We can deliver BABY SKATES in most parts of the world the next day! This service is usually offered (Monday – Friday only.